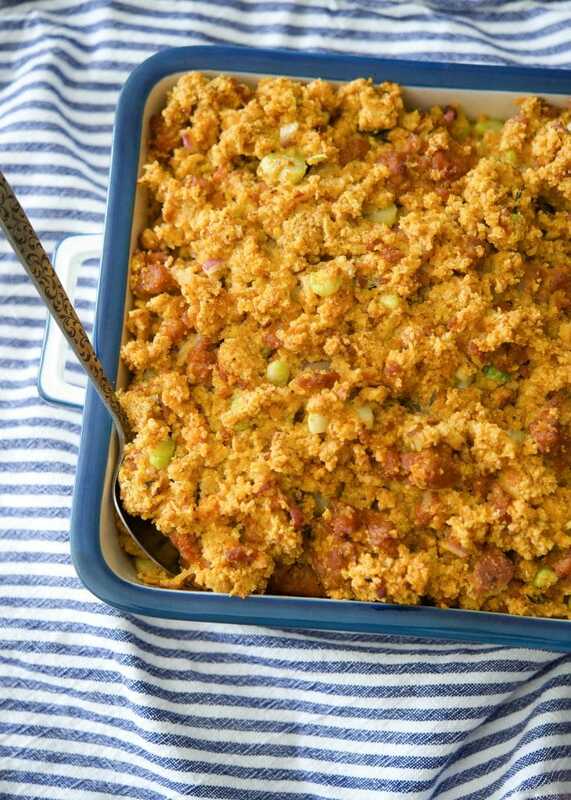 Chorizo Cornbread Stuffing is a deliciously easy stuffing that can be made throughout the year. 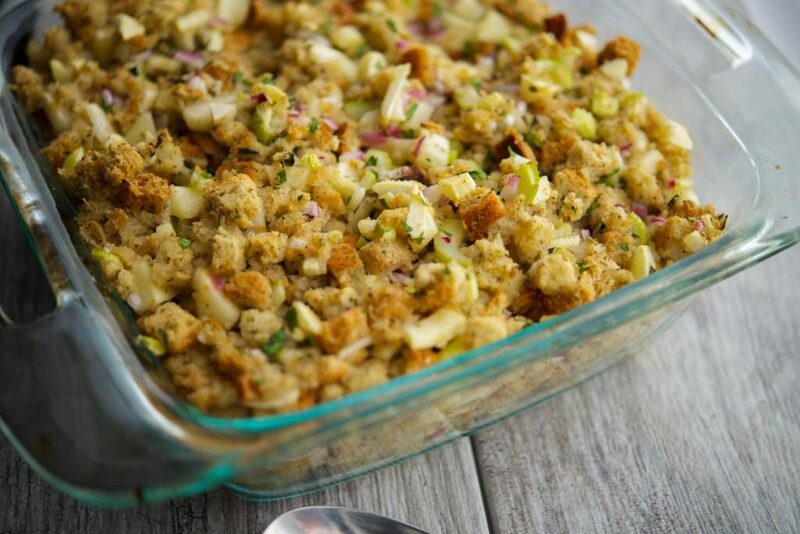 Serve as a weeknight side dish or on your Thanksgiving table. I love going back to some of the first recipes I posted here on the blog. 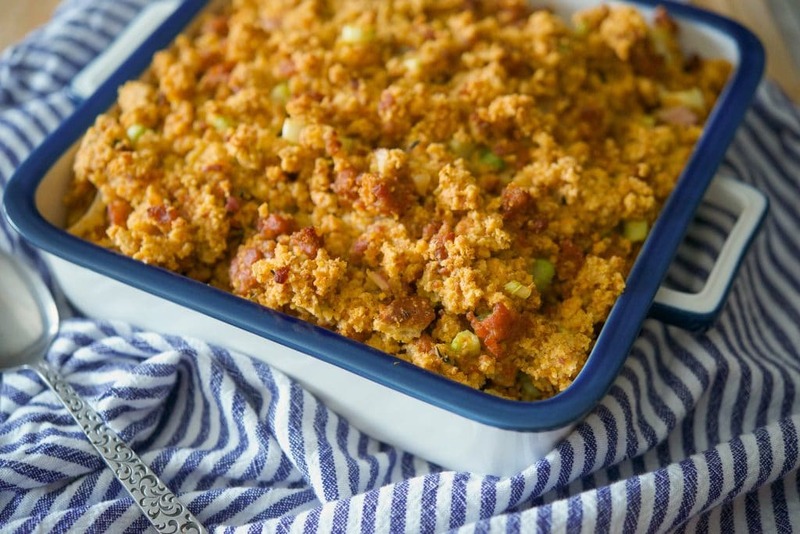 Not only is it nostalgic to see how far I’ve come in the almost 7 years I’ve been sharing my recipes with you, but I come across gems like this Chorizo Cornbread Stuffing. 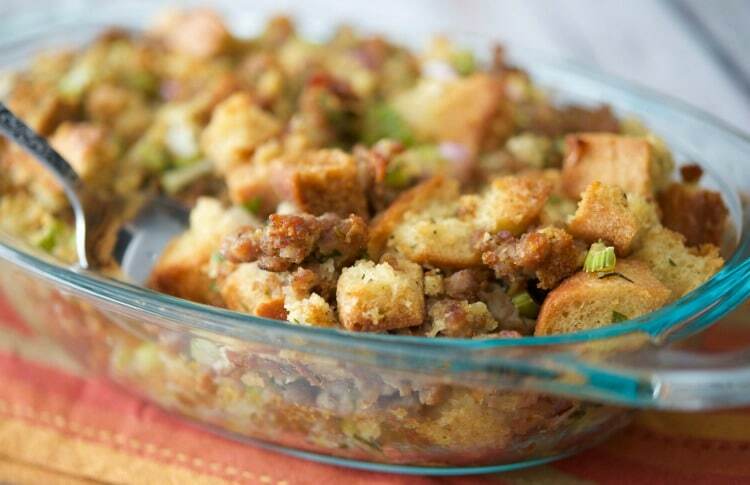 This stuffing is nothing fancy, but man is it tasty. I’ve been hosting Thanksgiving almost ever year since 1995. Yes, I’ve had some years off where we went somewhere else, but no matter how much work it is, there is nothing like the smells that come wafting from your kitchen on Thanksgiving day. For me, it’s a ritual that starts with watching the Macy’s Thanksgiving Day Parade while preparing all of the favorite dishes that my family enjoys. Cooking sets a calming mood that helps get me through the rest of the harried holiday season. The holidays are stressful for everyone and I have to say that the shopping part is much easier now that my kids, nieces and nephews are older (gotta love Amazon Prime! 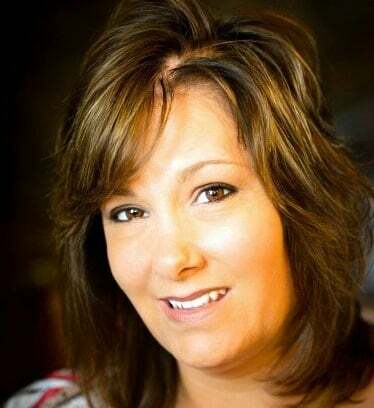 ), but having children both with birthdays between Thanksgiving and Christmas always threw a wrench in the “let’s stay calm and enjoy the moment” mode. For me it’s always been a ticking to do list (yes, I’m a list person) as there is only so much time between Thanksgiving and Christmas and not enough hours. This year, to throw more of a wrench in the works, I volunteered to lead our cheerleading booster club which hosts a cheerleading competition for approximately 500 people the Saturday before Thanksgiving, our oldest daughter turns 21 so we’re going to meet her at college to celebrate her first alcoholic drink (legally anyway 😉 ). Next, the little one (not so little anymore) is turning 16 and Sweet 16 party plans are underway for the beginning of December (including me making all of the table centerpieces because the florist couldn’t make what she wanted..I know..SUCKER! ), and then my husband and I are coordinating the making of 40 trays of lasagna (recipe post coming soon!) to be donated to needy local families before the holidays for our Youth Ministry kids working towards their Confirmation (youngest daughter included). Whew…I’m tired just typing this out! But I have to say that as busy as I am, I wouldn’t change it for the world. In a few years, when the youngest goes to college, I’ll probably be bored and miss all of this craziness. 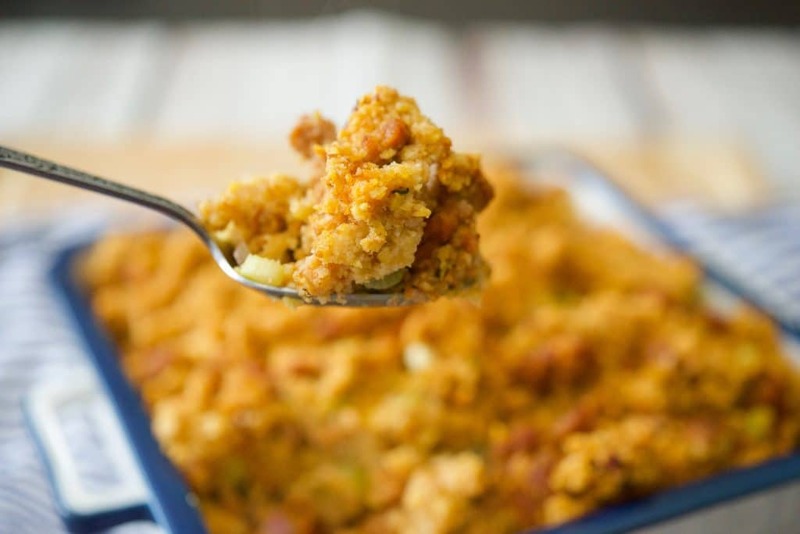 Anyway, enough about my crazy life, let’s get back to this Chorizo Cornbread Stuffing! 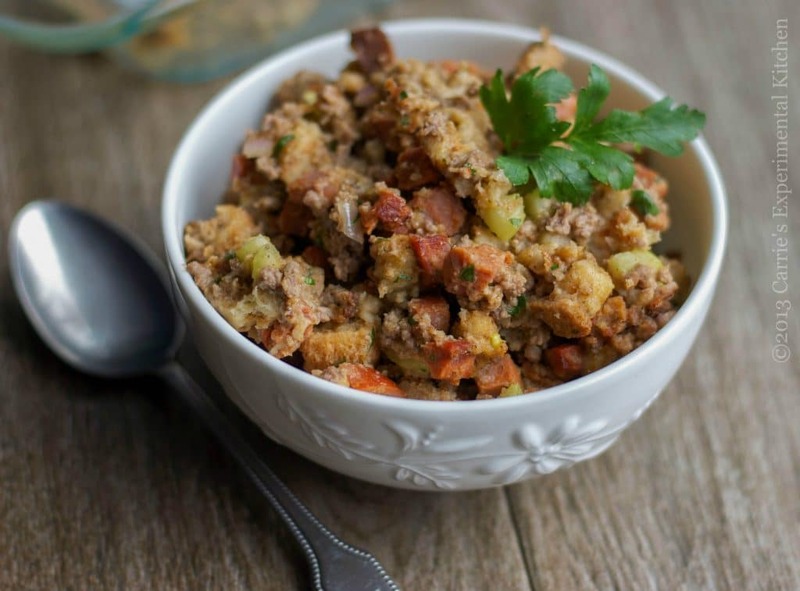 To make this recipe you’ll need cornbread stuffing mix, chorizo, garlic, onion, celery, thyme, and chicken broth. I like to use Portugese chorizo only because my father in law is Portuguese, but you can use the Spanish variety. 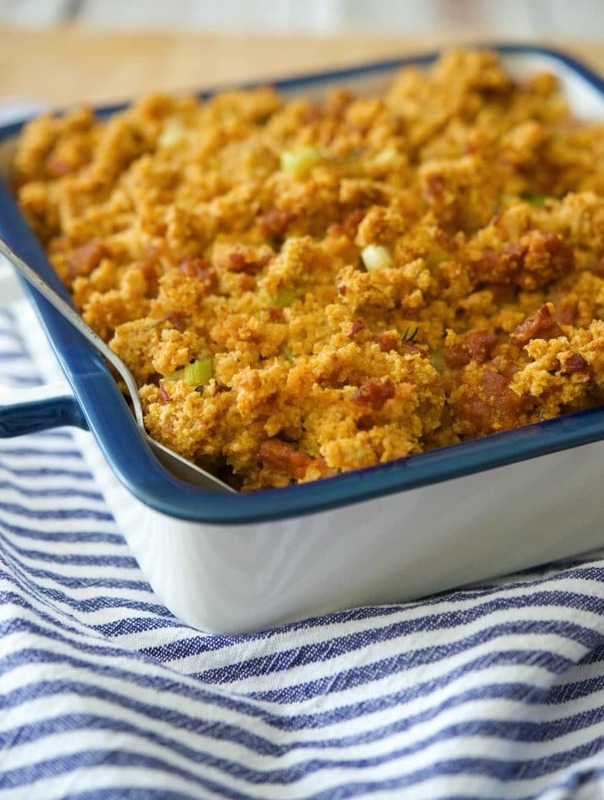 Ever since I first had his family’s stuffing years ago, I really like the flavor. Add a little oil to a large frying pan; then add the chorizo, garlic, onion, celery, and thyme and sauté for 5 minutes. In a large bowl, add the stuffing mix, chorizo mixture, chicken broth. Season with salt and pepper; then mix well. 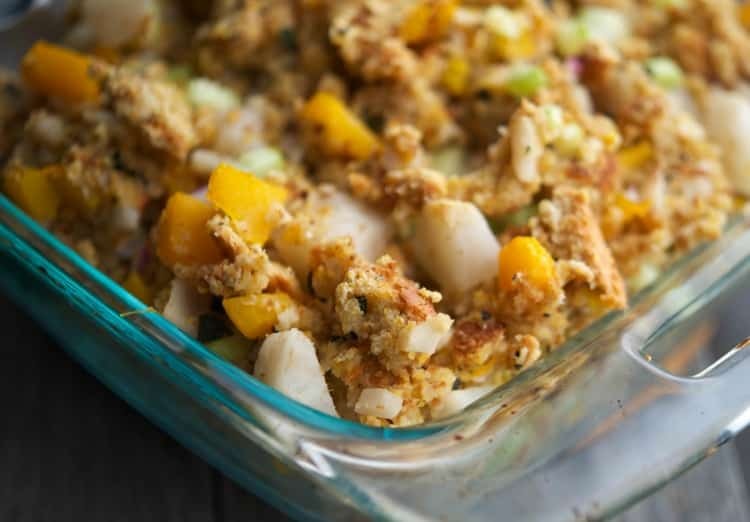 Transfer the stuffing to an oven safe baking dish and bake at 350°F for approximately 25 minutes or until a light brown crust is formed. That’s it, easy right? 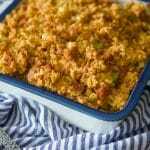 This Chorizo Cornbread Stuffing serves 6-8 people and even freezes well if you have too many leftovers. ~Enjoy! Heat the oil in a large frying pan; then add the chorizo, garlic, onion, celery, and thyme and saute for 5 minutes. 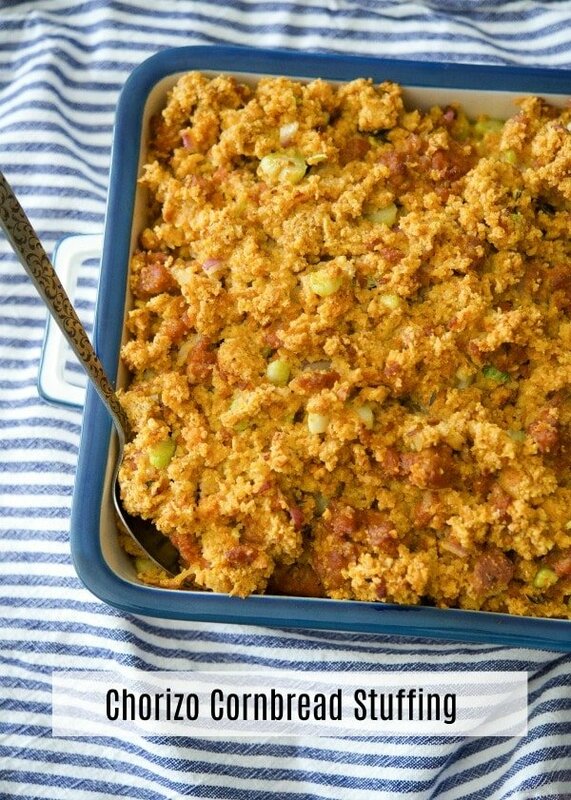 In a large bowl, add the stuffing mix, chorizo mixture, and chicken broth. Season with salt and pepper and mix well. 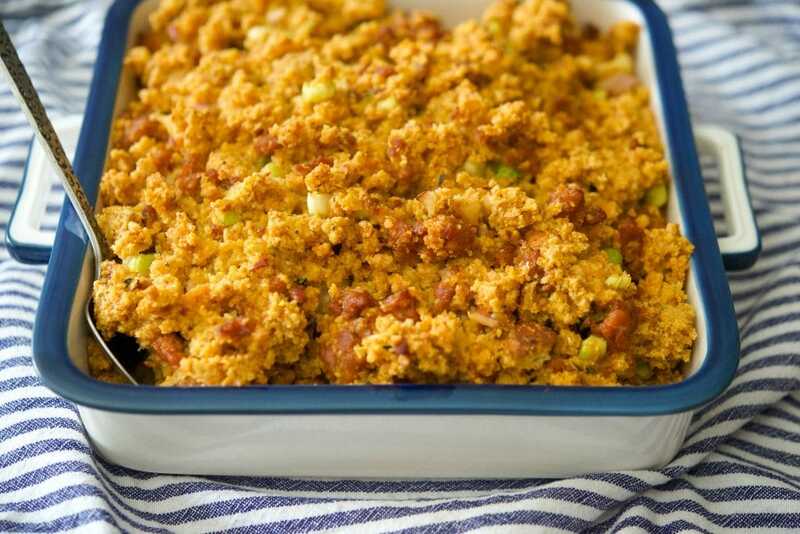 Transfer to an oven-safe baking dish and bake for approximately 25 minutes or until a light brown crust is formed. I bet this would be a hit at Thanksgiving! A twist on a classic 🙂 Thanks for sharing at Church Supper. Have a blessed week. Just linked up to Chef In Training’s Tuesday’s Talent Show. Wow I bet this is amazing with that kick from the Chorizo. Thanks so much for linking up at Newlyweds Recipe linky, be sure to include a link back so others can join in the fun.